Due to research for another another article with Meininger’s, I paid a visit to Álvaro Palacios last month for a chat and, being the consummate showman that he is (the classy booklet above was for the official buyer’s tasting), he offered a taste of the forthcoming 2016 vintages of his top wines. While I always prefer tasting Priorat wines blind as I have too many pre-decided notions about them, one would have to be quite daft to turn do the offer, especially given that l’Ermita is clocking in at about 1,000€ a bottle retail these days. A note about the 2016 vintage in that, as has been noted in many other European regions, this is a very special vintage. It might even be better than the 2013, although the crop yields were down compared to three years previously. Simply put, in the wines I’ve tasted to date, there is a nuanced, delicate, perfumed quality to the wines that is singular. On top of that, they have plenty of acidity to keep steering them well into the future, something that cannot be said about the nice, but not amazing 2015 vintage whose wines are already running short in the finish. Rich plum in color with a garnet crest. Touch of wild herbs developing, racy red cherry, dark plum, licorice, and tea leaf. Acidity is quite massive (3.3pH!) and this wine still needs time to work itself out (sample was just finishing malolatic conversion), but it will undoubtedly get there and have incredible staying power in the bottle once it does. 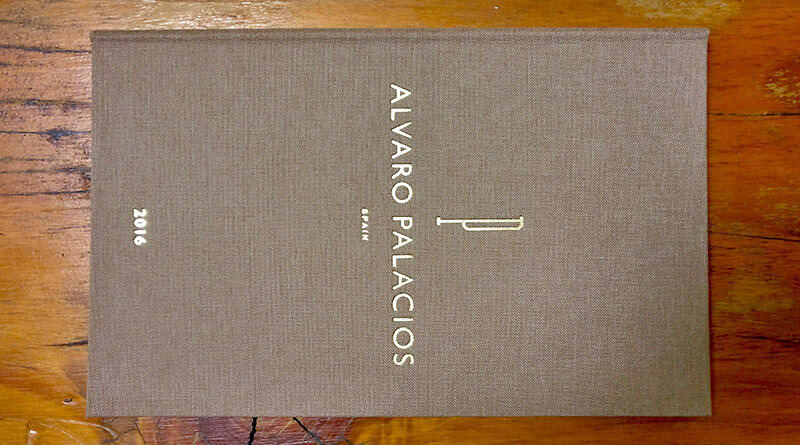 This is a newer wine for Palacios from a vineyard they bought outright in 2013. Dusty plum notes, Carignan is showing more at this moment. Buttery marmalade, chicory notes. Wonderfully linear, savory, and tasty with a lively freshness encapsulating it. Balanced wonderfully on the palate. Already a long finish to it, will develop even more. Harvest was 20 days later than 2015. Light red cherry notes, orange peel, dark cherry undertones, floral as hell. Straight and direct in the mouth with no fussing about. Lower pH (seemingly a common refrain for the vintage) than usual gives it and ethereal, light quality lending it a fresh and very light finish.